Phocuswright has identified key insights into the solid and steady rise of the U.S. corporate travel segment in 2017, based on a combination of market sizing, travel spend estimates from U.S. supplier revenue, a travel manager survey, and industry executive interviews. Helped by rising business confidence and innovations driving traveler behavior, the managed corporate segment represented about a third of the total U.S. travel market and reached US$119 billion in 2017. Simplifying the travel program to make it easier for travelers to make the right choice and trust the process, including seamless integration of payment and expense. The return of bleisure – extending business trips for a leisure stay to explore a destination is making a return on the agenda. Virtual cards and digital wallets – but it will take some time before they're implemented on scale. Shifting travel decision-making from marketing/procurement to the chief technology officer (CTO) – it's important to integrate a company's travel program with its enterprise resource systems to drive future decisions. For the complete picture, including market sizing and growth, travel management priorities and traveler behavior, overview of key tech innovations and more, subscribe to Open Access and view Phocuswright's U.S. Corporate Travel Report 2018-2022. 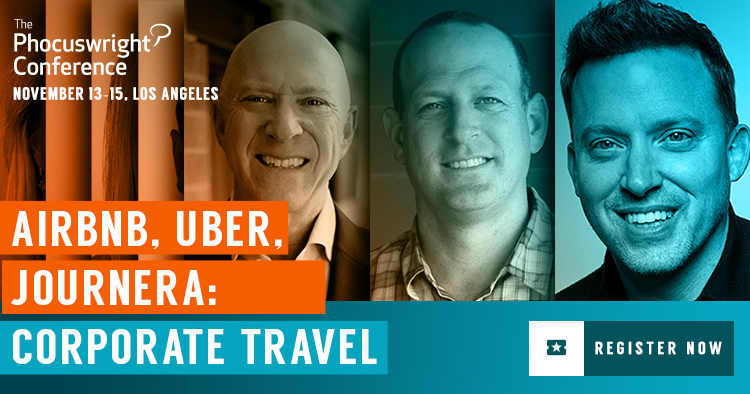 Attend The Phocuswright Conference, held November 13-15 in Los Angeles this year, to hear from panelists from all sides of the ecosystem as they discuss how to meet the demands of today's business traveler while tweaking corporate programs for good. Learn more about the session here and get your ticket today.